Bungalow bathrooms before 1920 were of the “sanitary white” persuasion. Not so the bathrooms built after the mid-1920s! 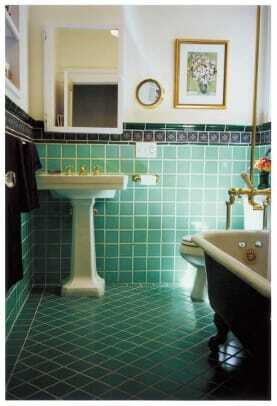 Colorful tile came first, followed in the late ’20s by colored plumbing fixtures in ivory and pastels. Color exploded in the 1930s with the introduction of toilets and sinks in orchid or mint, brilliant blues, candy pink, lavender, yellow and snazzy black, and finally red and navy blue. Often a bright or pastel color was used with black accent tiles for an urbane look. Not all tiles were plain. Stylized floral designs and aquatic themes—fish, waves—were popular in decorated tiles. 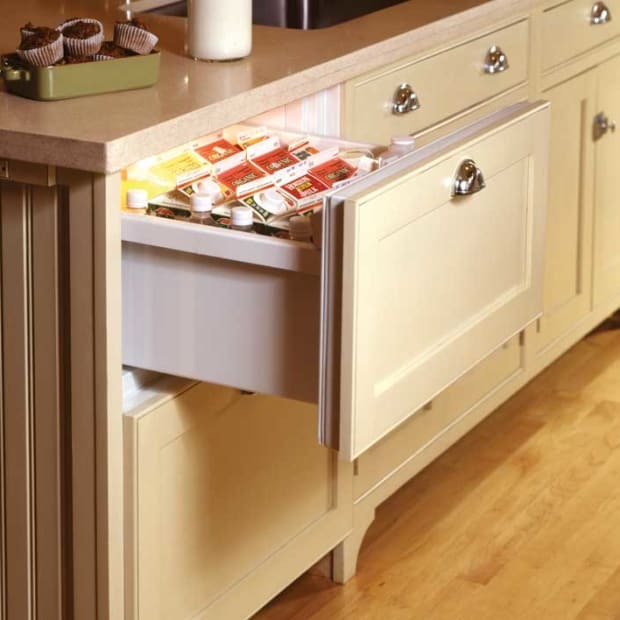 By this time, room elements and fixtures showed the influence of Deco and Moderne design. Frameless mirrors (round or vertical), frosted glass shades on lighting fixtures, streamlined (or Deco curvaceous) fixtures, and polished chrome fittings came together in bold rooms that sparkled. 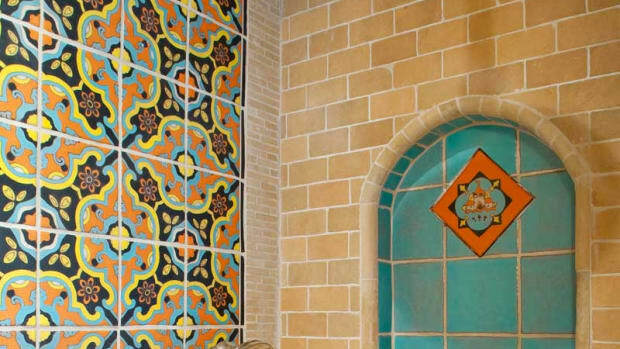 Brilliant “California” tile, often in stylized patterns inspired by Islamic art, was perfect for the Mediterranean and Spanish Colonial Revival houses built in this period. Innovations in tile manufacture and installation made tiling more affordable; magazines and plumbing catalogs extolled the colorful modern bath. In this heyday of the bathroom, many an old one was flamboyantly remodeled. Tile types available in the 1920s and ’30s have been revived; the selection, in fact, is bigger than ever before. 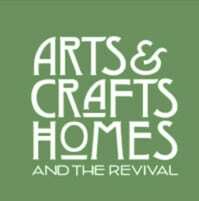 Choose among patterns influenced by both Hispano–Moresque design and the motifs of the Arts & Crafts movement. 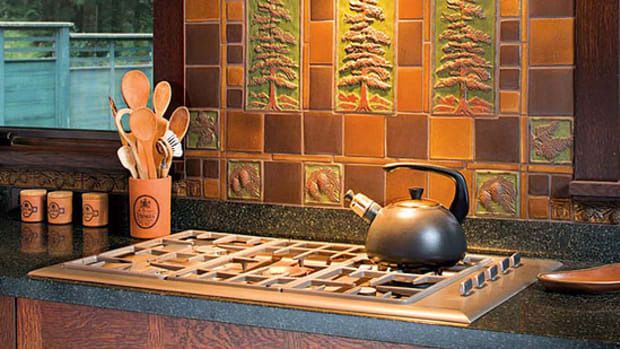 Styles include Spanish-influenced California tiles (Malibu and Catalina), Prairie-style designs, and hand-painted Talavera tile. Revived techniques—cuenca, cuerda seca, tubeline—are still used by small-batch artisanal studios as well as larger manufacturers. 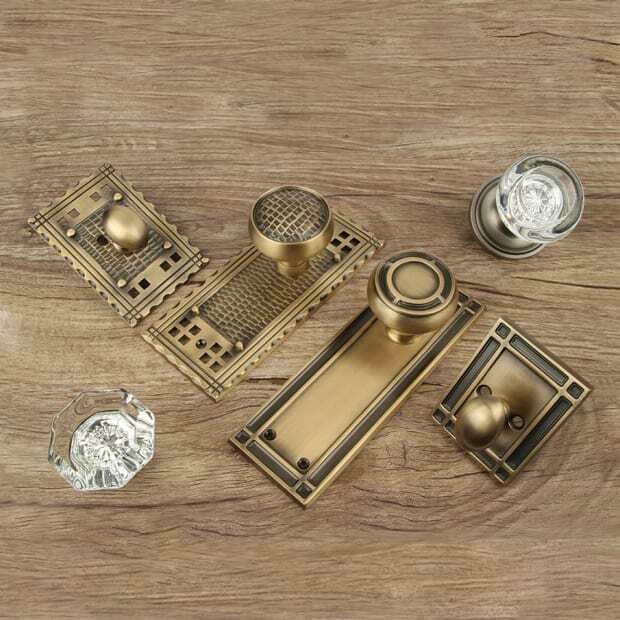 You’ll find field tile, relief tile, decos, panels, and molding tiles, in specialty glazes with opalescent, mottled, or matte finishes. With lavender wall tiles, deco inserts, and a bold geometric tile floor, this recent bathroom by M.E. 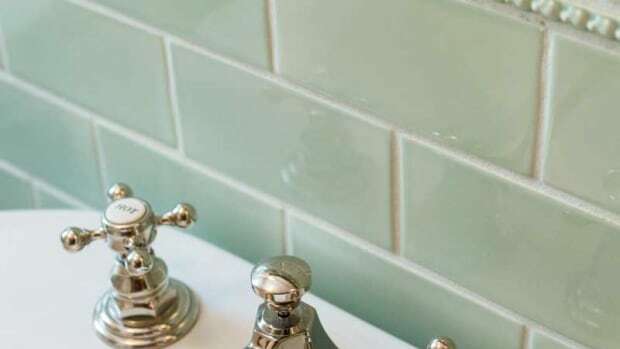 Tile has a ’20s vibe. Oh—and colored bathroom fixtures are available again, too, though not in the wide array of colors sold during the 1930s. 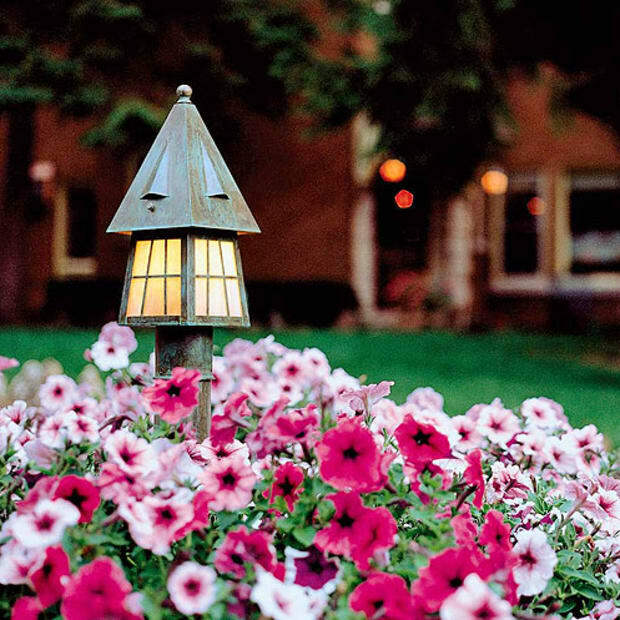 With the revival of period-style fixtures, faucets, mirrors, and lighting, it’s easy to create an inspired period piece for your bungalow or casita. 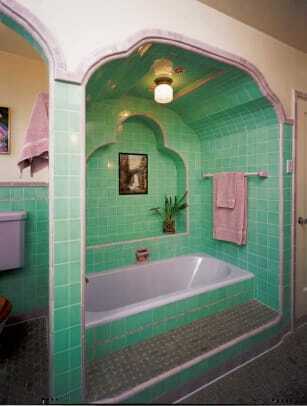 Foursquares and Tudor Revival houses also boasted colorful tiled bathrooms. 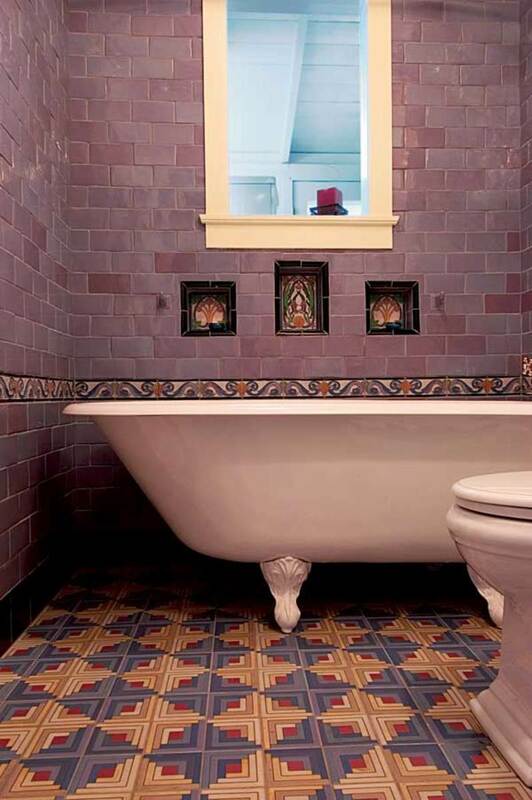 Exuberant color tile in bathrooms of the 1920s inspires us today. 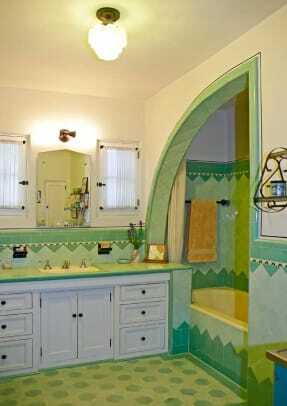 Whimsical tile enlivens a bungalow bathroom.